Sold out shows in Darwin Festival already and only four shows remaining! 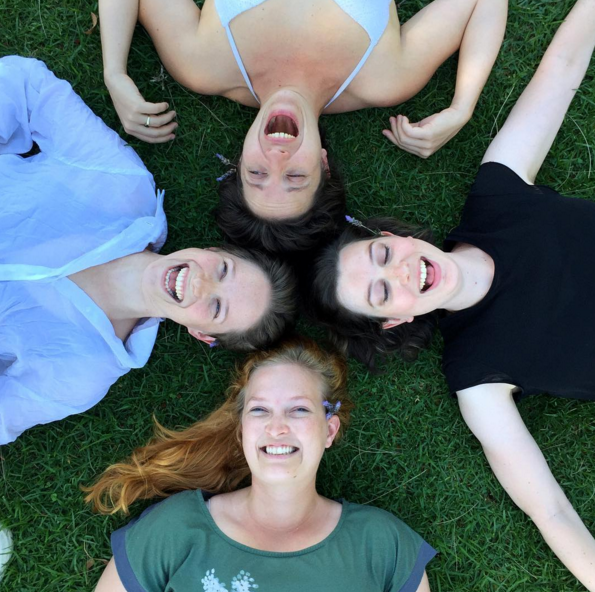 Darwin friends, we would love to meet you there! Backstage at Showcase Victoria, ready to do an excerpt from HART. 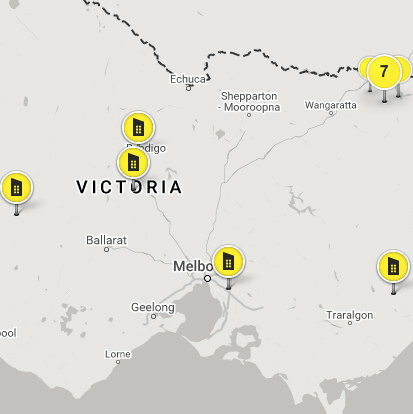 Thank you to Regional Arts Victoria for the opportunity to be here and speak with presenters from all around Victoria! 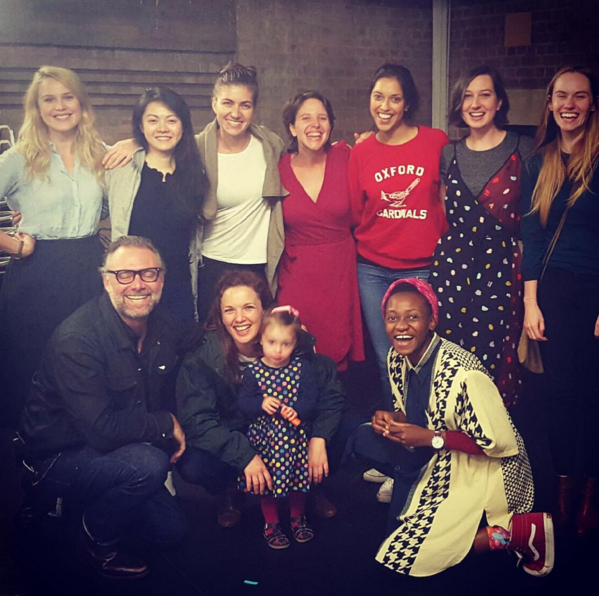 Thank you for the wonderful team at @playwritingaus for facilitating our first PWA workshop, and our incredible actors (EJ, Jenny, Kristy, Lizzie, Moreblessing and Mem) for helping us develop Fallen. And of course, to dramaturg Tim Roseman (not pictured!) 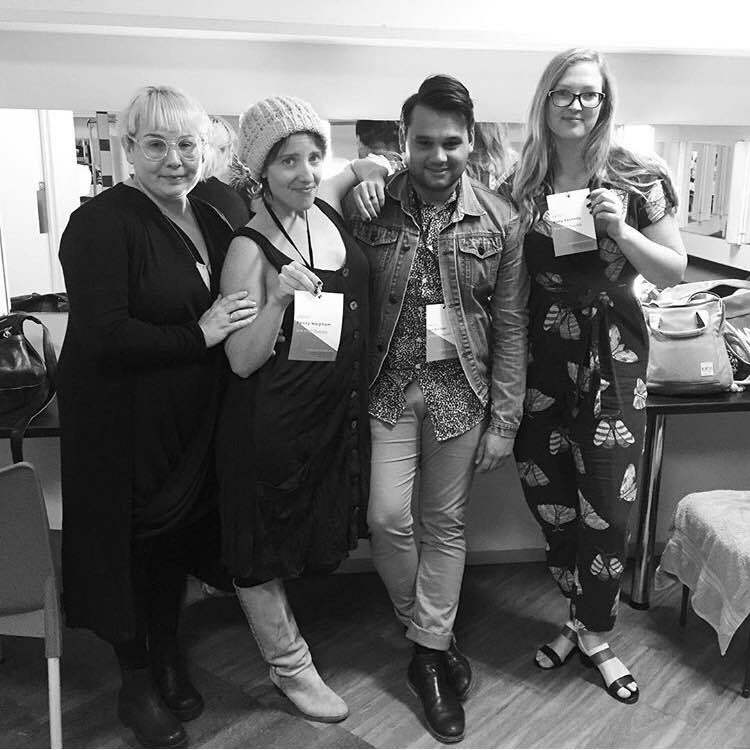 for a playwriting boot camp like no other! 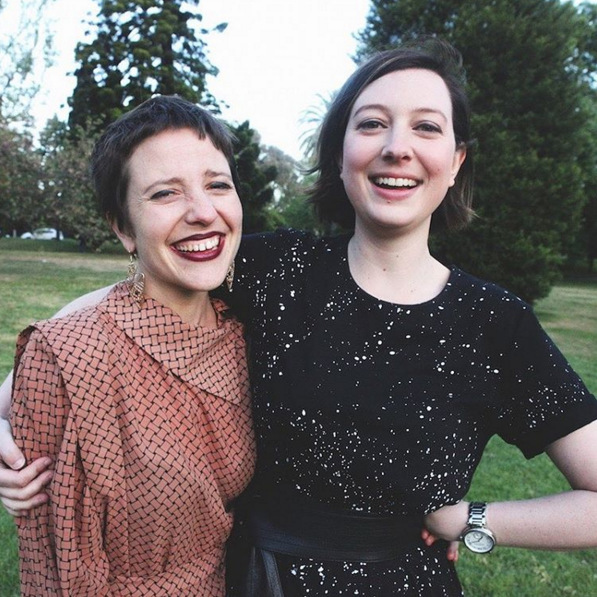 So excited to be part of Season One at @theblueroomtheatre in Perth from May 24 to June 11! 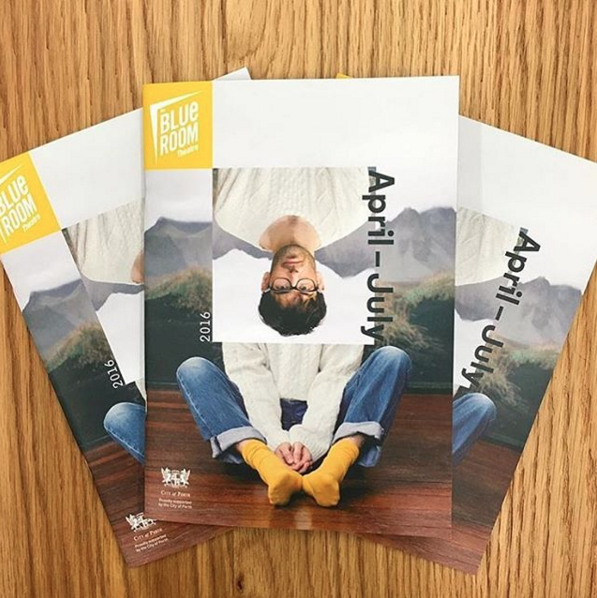 The Blue Room just announced their amazing April-July season and we’re stoked to be a part of it. We can’t wait to bring these Noongar stories home. Congratulations to all nominees and winners of the 2015 Green Room Awards, including two of our biggest heroes, Dee & Cornelius. 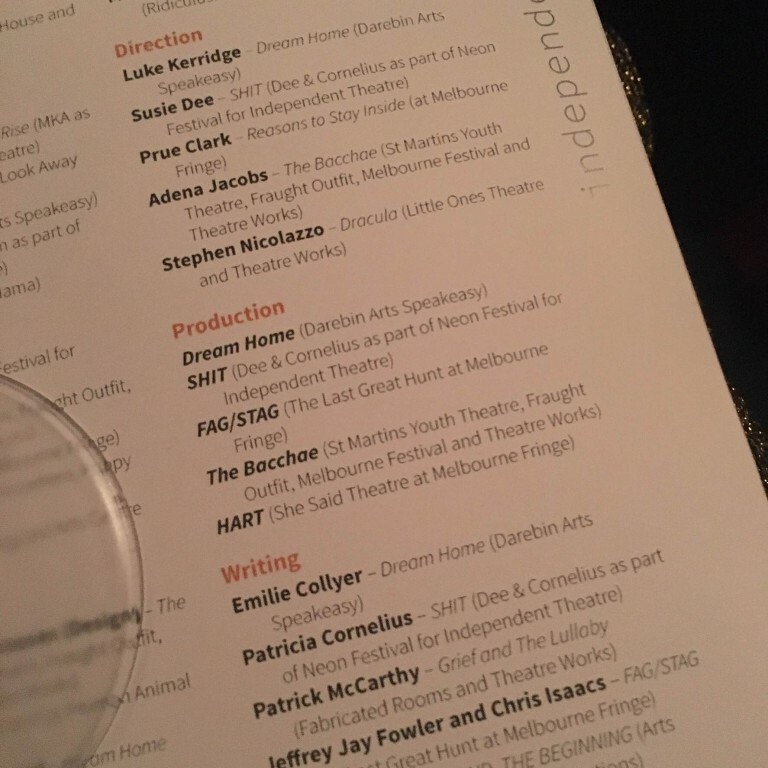 Very proud to be nominated alongside such legends and fierce indie theatre makers. Here’s to a great 2016 of making! 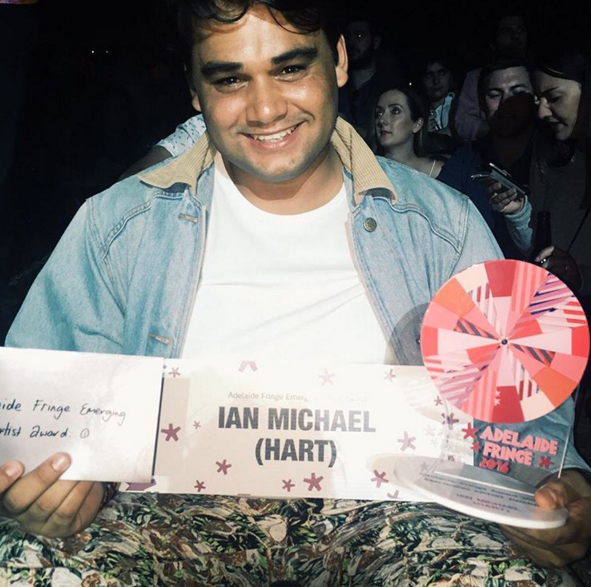 Adelaide Fringe 2016 Best Emerging Artist award goes to… Ian Michael for HART! Congratulations to Ian and all the other winners tonight! Happy International Women’s Day! Proud to work with such amazing individuals who believe there are many different ways of doing things and many more stories to tell. Are you an artist, tech, producer? Let us know!